Stabilizes the longitudinal and transverse arches. The weightflex orthotic core stabilizes the longitudinal and transverse arches and improves the free movement of the joints in the tarsus – the "weak point" of the foot's structure. The combination of firm and flexible elements in the orthotic core allows the foot to twist naturally, thus boosting active mobility. 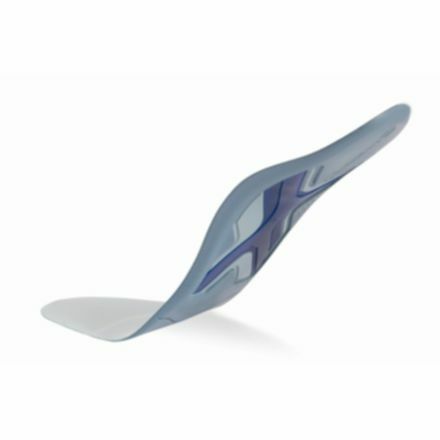 The interaction of the four side sections of the "weightflex-X" in the core assists the active resetting of the muscles and connective tissues and optimizes the pattern.